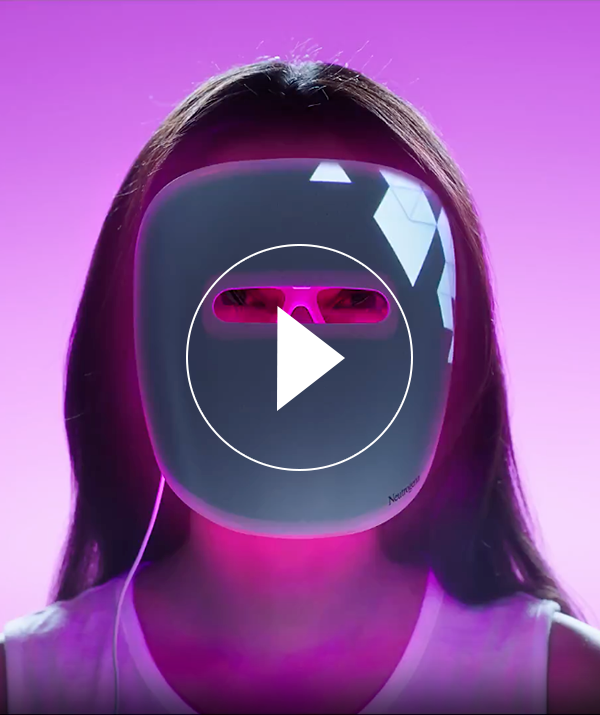 With dermatologist in-office technology, Neutrogena® Light Therapy Acne Mask is a revolution in acne treatment. Free of chemicals and UV light, this face mask harnesses the power of clinically proven technology to clear acne and allow skin to heal itself. Click here to download and view the Instructions for Use brochure. WARNING: If you are epileptic and/or experience dizziness, nausea or headache with light exposure, consult a health care professional before using the device. As the only home LED device that simultaneously treats your face with both blue and red visible lights, this dual action technology helps disrupt your acne cycle and delivers clearer, healthier skin! Want to Recycle your Activator? Connect the Activator to your mask and use daily to see clearer, healthier skin with this chemical- and UV-free treatment. Mask comes with one 30-treatment Activator that can be recycled after use. Additional Activators can be purchased separately.